Skyrocket junipers are a type of eastern cedar tree (Juniperus scopulorum "Skyrocket"), and are known for their cylindrical shape. Skyrocket junipers can grow high enough to block sunlight from reaching other plants, and may require pruning to maintain the desired height. 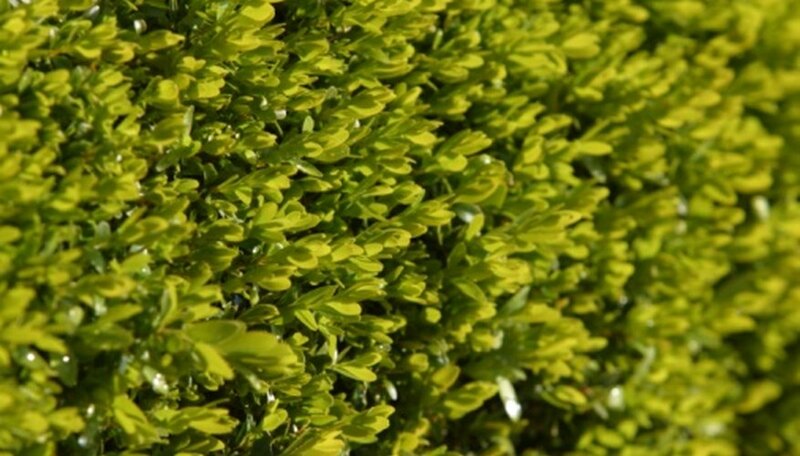 Pruning Skyrocket junipers may take a little time, but gardening trimmers should help you with this task. Use hand trimmers or power trimmers to trim off the ends of the branches to cut down the Skyrocket juniper to a smaller size. Cut off only 2 to 3 inches at a time to better manage the rate of trimming. Use trimmers with long enough blades to reach the bush’s center in order to cut any tightly compacted branches. Trim the Skyrocket juniper’s branches with the trimmers, starting at the bottom of the juniper. Start on one side of the juniper and work your way across to help ensure a symmetrical shape on all sides. Trim completely around the Skyrocket juniper’s base before moving up to trim more branches. Check often to make sure the cuts are level. Take a few steps back on occasion to ensure the juniper remains symmetrical as you trim. Position a step ladder next to the Skyrocket juniper and climb the ladder to trim the higher branches of the tree until you reach the top. Reposition the ladder around the Skyrocket juniper as necessary to reach every side. Dismount from the ladder and move back a few steps to inspect the tree and ensure it remains symmetrical. Collect the juniper’s trimmings in a garbage bag to be later disposed of. You may also place them on a compost pile to help fertilize your lawn. Ohio State University Extension: Juniperus Spp.